A Haines City woman has been charged with Conspiracy to Commit Fraud in Excess of $50,000 and three counts of Use of Another Person ID Without Consent. A warrant has also been obtained for her 23 year-old daughter for Grand Theft and Obtaining Property by Fraud in Excess of $100,000. On 1-29-18 Winter Haven Police responded to the Winter Haven Honda dealership (6396 Cypress Gardens Blvd. SE, Winter Haven) in reference to a fraud. The sales manager reported that on 1-25-18, 48 year-old Norma Castro (Garnette Ave, Haines City) and her daughter, 23 year-old Keisha Nicole Garcia-Castro came to the dealership to purchase two vehicles. According to the women, they wanted to purchase the vehicles to use as Uber vehicles. The two vehicles were chosen (2018 Honda Accord, valued at $42,958 and 2017 Honda Pilot, valued at $57,441) and the sales associate collected copies of both drivers’ licenses. A credit application was completed by Nicole. The credit application returned satisfactory and the women were able to leave with the two vehicles. As customary for the dealership, the women were contacted a few days later to see how the vehicles were performing and if there were any issues. Norma stated everything was well and, in fact, they would like to purchase another vehicle for the Uber business. On Saturday, 1-27-18, the pair arrived at the dealership at 5:30 p.m. to pick up a 2018 Honda Accord, valued at $42,958. On Monday, 1-29-18, the dealership was contacted by LifeLock regarding the application for the first two vehicles. LifeLock advised the information that was entered had been flagged due to identity theft. When this information was received, the dealership contacted authorities. On the same day, Norma was already scheduled to come to the dealership and when she arrived, Winter Haven Police were there waiting for her. When officers started to interview Norma, she was asked about the two vehicles purchased a few days earlier. She indicated that the vehicles were at the Haines City residence with her daughter. The two vehicles were located at the residence, but Nicole was not located. Due to the fact that the two vehicles were obtained through a fraudulent transaction, both vehicles were towed and returned to Winter Haven Honda. The Honda that Norma drove to the dealership (which she obtained on Saturday) was also returned. During an interview with Norma, she indicated that she had her daughter fill out the paperwork and she had no idea what was on the credit application. A search of Norma’s purse revealed a stack of paperwork including a BrightHouse bill in Norma’s name. There were other documents with information to include names, birth dates and social security numbers. When asked about the papers, Norma initially said they were family members, however she was unable to name any of the names on the paperwork. Ultimately, she said she was holding the paperwork for her daughter, who told her it was all for her friends. Norma advised she lied during the interview because she didn’t want to get her daughter in trouble. 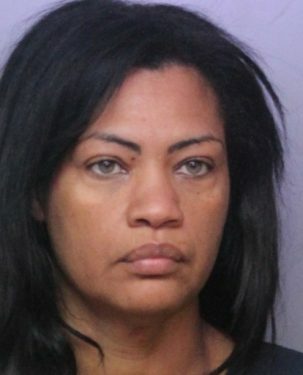 Norma was booked into the Polk County Jail on one count of Conspiracy To Commit Fraud (F2) and three counts of Possession of Another ID Without Consent (F3). 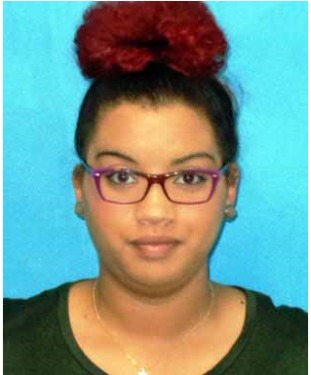 A warrant for the arrest of Keisha Nicole Garcia-Castro was obtained on charges of Grand Theft of $100,000 or more (F1) and Obtaining Property by Fraud More Than $50,000.Nicole is currently on five years probation for a Fraud charge in April 2016. Anyone with information on Nicole Castro’s whereabouts is asked to call Heartland Crime Stoppers at 1-800-226-TIPS (8477). Callers are guaranteed anonymity and could be eligible for a CASH reward.